Take the Werribee Line and get off at Werribee Station. Bus 153- Get off at Synnot St stop. Bus 439- Get off at Beamish St stop. Plenty of parking around the train station and Station Pl. The migration process can be a challenging and frustrating one, full of legalities that need to be navigated and obstacles that need to be surmounted. Fortunately, Charles Reichman is an experienced notary public officer in Werribee who can guide you through the process and help you achieve your desired outcome. We understand the various requirements and formalities, allowing us to handle your overseas paperwork with the care it deserves. We also have offices located in or close to suburbs with large migrant populations, enabling us to better understand your needs and desires. Whether you need document authentication and certification or Apostille stamps, we have you covered. 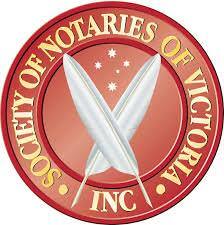 Our notary services in Werribee are second to none. We have the clearance to witness and authenticate various documents, including academic applications and passport renewals as well as visa applications and more. We can also coordinate with the consulates of India, Singapore, Malaysia and other countries that may require you to provide certain documents. Charles Reichman is the number one choice for professional notary services in Werribee and nearby suburbs such as Tarneit, Point Cook, Truganina and Williams Landing. Check out our contact page for relevant phone numbers and addresses, or fill out our simple online enquiry form for a prompt and informative response.